East Midlands-based Charterpoint Group has secured planning permission for 240 new homes and a retirement living scheme at a site in Lincolnshire. The company has received outline planning approval from East Lindsey District Council for the development off Grimsby Road, Louth. Situated on 35 acres approximately half a mile from the town centre, Westfield Park will provide a range of 240 much-needed new houses, alongside a mix of apartments and bungalows for retirement living. “Westfield Park is to be a sustainable development of high quality new homes and retirement living accommodation set within a rich and attractive landscape setting,” said Adrian Goose, Chief Executive of the Charterpoint Group. “It is just over half a mile away from Louth town centre, with its range of local services and amenities including access to health services, schools and shops. It is also very close to the main employment area of the town, Fairfield Estate. “The scheme will provide a range of homes for families, helping to alleviate the chronic shortage of houses in Lincolnshire, while the construction of retirement living accommodation within the development will provide much-needed, high quality, specialist properties for the older generation in the Louth area, an area which has 35% more elderly people than the national average. The planning permission has been secured by Charterpoint (Louth) Ltd, a member of the Charterpoint Group of companies. The group is based at Wheatcroft Business Park, Edwalton, near Nottingham, and specialises in developing first-class senior living accommodation, sustainable housing schemes, and primary care premises. 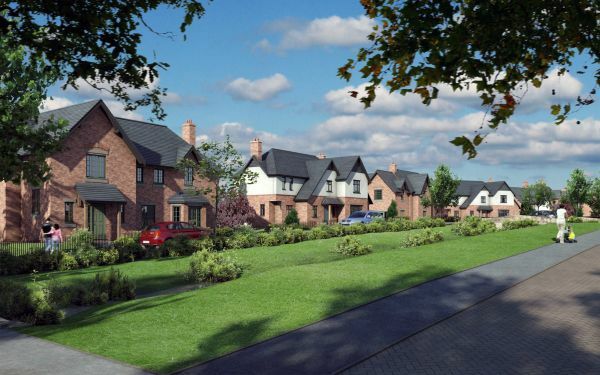 This latest scheme, Westfield Park, is to be built to the north west of the town centre adjacent to what is regarded as the premier residential area of Louth, and will feature extensive open space, including a play area and ‘green’ streets.